Below you can view all the homes for sale in the Homestead Farm subdivision located in Centennial Colorado. 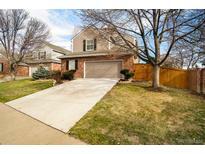 Listings in Homestead Farm are updated daily from data we receive from the Denver multiple listing service. To learn more about any of these homes or to receive custom notifications when a new property is listed for sale in Homestead Farm, give us a call at 720-924-7403. Many of the expensive items such as the roof, garage driveway, mechanicals and appliances have been updated. MLS#8881118. KENTWOOD REAL ESTATE DTC, LLC. It is an active community with a swimming pool, tennis courts, and neighborhood clubs & activities. This home has it all! MLS#8436558. VISTA REALTY. Great DTC location, close to Willow Spring Open Space, Park Meadows, Dry Creek Light Rail & great access to C-470 & the Rocky Mountains! MLS#6119985. Kentwood Real Estate Cherry Creek. Newer impact resistant roof,new AC,updated and immaculately maintained!! A beauty! MLS#8172700. Shorewood Real Estate. Close to Willow Spring Open Space, DTC, Park Meadows and easy access to the Rocky Mountains via C-470. MLS#9190168. Kentwood Real Estate Cherry Creek. Littleton schools, swim team, tennis leagues, community events, & trails are all neighborhood highlights! MLS#5020535. MB Metro Brokers - Door2Denver. Close to the neighborhood pool, tennis courts and walking trails. MLS#5697534. THE KENTWOOD COMPANY. You wont find a better home at this price anywhere in Homestead! MLS#8887895. Madison & Company Properties. Remodeled Extended Hamilton on an interior cul-de-sac, large private level & fenced backyard, gorgeous designer kitchen with top of the line 42" maple Decora cabinets, crown, pantry, slab granite, stainless appliances, Wolf gas cooktop, paneled refrigerator & dishwasher, built in microwave, tons of pullouts, strip oak hardwood floors, crown molding throughout main level, laundry/ mud room that opens to the garage, updated family room with upgraded cabinets & gas fireplace, new baseboards, all new vinyl windows, upstairs master suite and good sized additional bedrooms with spacious closets, huge basement with den, 5th bedroom (non-conforming) & 3/4 bath, great storage or room for future expansion, brand new hot water heater, new 3D CertainTeed 30 year roof, new fence, great East/West exposure, 1 block in greenbelt to pool, tennis, and rec area with tot lot! ! MLS#5696015. RE/MAX Masters Millennium. A quick walk to Life Time Fitness, Tony's Market, Neighborhood Swimming Pool, and sand volleyball and tennis courts. This home has it all! MLS#2068833. Graham & Johnson Real Estate LLC.